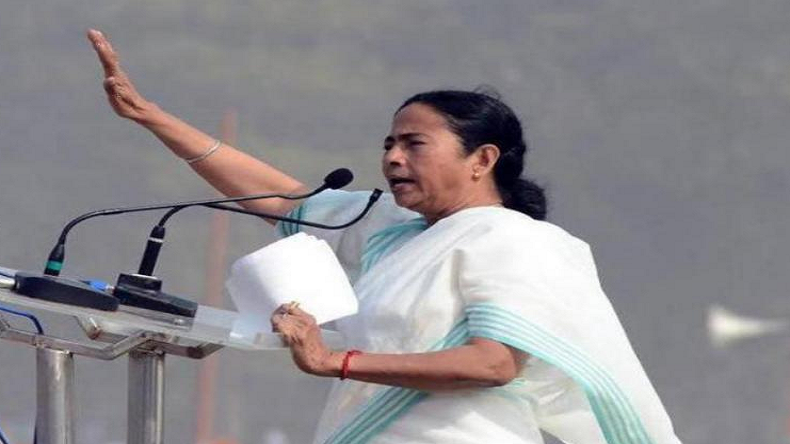 Mamata Banerjee Delhi rally: West Bengal CM Mamata Banerjee on Wednesday attack the Narendra Modi government from the stage of Save Democracy rally in New Delhi. Mamata Banerjee said that the TMC will join hands Congress and Left parties to defeat the PM Modi-led NDA government in the upcoming Lok Sabha election 2019. Mamata Banerjee Delhi rally: West Bengal CM and Trinamool Congress chief Mamata Banerjee Today once again lashed out at the Prime Minister Narendra Modi. Addressing a public gathering Mamata Banerjee said that she is ready to join hands with Congress and Left parties to defeat the PM Modi-led NDA government in the upcoming Lok Sabha election 2019. Mamata Banerjee said that TMC, Congress and Left parties in Bengal would fight together at the national level against the same opponent. “We will fight together with the Congress and the Left at the national level… we will fight in the state but not nationally,” said the Bengal Chief Minister. Mamata Banerjee roared at the Delhi’s Jantar Mantar, at the Save the Democracy rally, where Left leaders Sitaram Yechury and A Raja were visiting at the time. The rally was organised by the Arvind Kejriwal’s Aam Aadmi Party, which hosted anti-BJP parties on to show the strength of opposition ahead of the Lok Sabha election due in May. With host Delhi CM Arvind Kejriwal, the event was attended by West Bengal CM Mamata Banerjee and Andhra Pradesh CM N Chandrababu Naidu, former J&K CM Omar Abdullah and many other heavyweight politicians were present at the stage today.